NEW FRONT BRAKES - BACKUP CAMERA - 1 OWNER - EXCELLENT CONDITION - PURCHASED HERE NEW & SERVICED HERE - 160 POINT TOYOTA CERTIFIED INSPECTION & SERVICE JUST COMPLETED - LEGENDARY TOYOTA QUALITY & RELIABILITY Want to see more? Visit https://www.youtube.com/watch?v=9-HrA0rVGhU for an full video tour! At Maple Toyota we encourage you to compare our service and reputation to those of other dealerships. We know how difficult it is to select a vehicle and we want your family to make an informed decision and buy with confidence. With over 10 years of experience and servicing the Toronto, Vaughan, Richmond Hill, Markham, Aurora and New Market our reputation is second to none. WE WANT YOUR TRADE! We take ALL MAKES, MODELS, YEARS etc. We have trained and well informed appraisers and staff during all hours of operation! 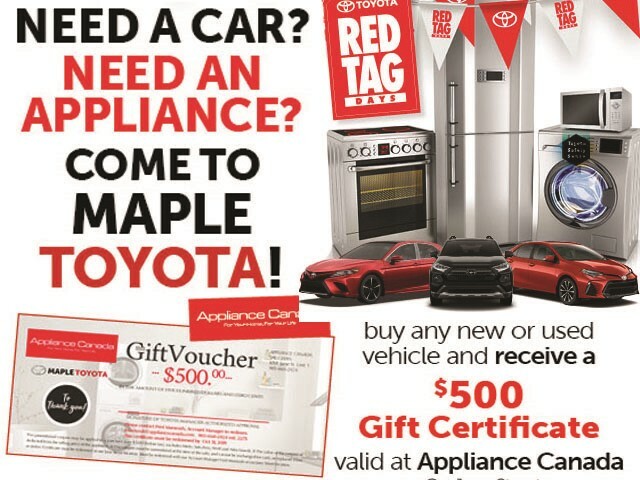 Come get top dollar for your vehicle, with Maple Toyota! With the Largest inventory and expert sales staff who are eager to share their knowledge and enthusiasm! Maple Toyota is first and last place you will need to shop. We look forward to the opportunity to earn your business. This vehicle is $2,256 ABOVE MARKET (13%) in the Vaughan area. It is analyzed against similar 2015 Toyota Corolla's and is based on kilometers, transmission, trim, and options. *Min 6 mo/10,000km powertrain warr. I agree to recieve text messages and phone calls from Maple Toyota at the phone number that I have entered above. I understand that the message and data rates may apply.